Most people want to invest in real estate and own rental property to increase their passive income and net worth. What holds people back is that they feel as if they don’t have enough money to get started investing in real estate. Most people have heard of the old saying “It takes money to make money”, but I challenge you to reconsider that belief. Here are seven strategies to help you get started the rental property business. You can buy houses in Detroit all day for between $25,000 and $35,000. These properties generally rent somewhere between $600 and $800 a month. The downside: These properties generally have maintenance issues. When you don’t pay property taxes for a year, your house can get foreclosed on by the local county government (or whoever is in charge of collecting property taxes). Generally speaking, counties don’t foreclose unless there is at least three years of unpaid taxes. You buy the lien in this investment strategy (not the property). 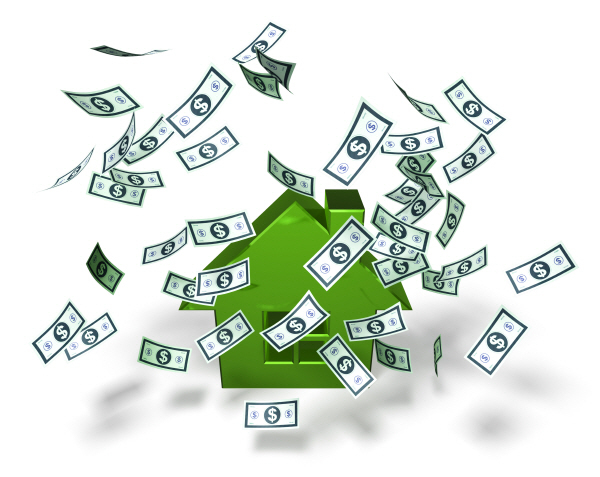 If the owner pays the lien, you get the money you paid for the lien back plus interest. If they don’t pay, you own the property after a year. Sound too good to be true? It’s not. I know several people who have done this and have made some decent money. The downside: There’s a lot of time involved with analyzing the liens and going through the process of taking ownership of the land. You also need to make sure you’re researching any title issues with the property. Most properties are tear-downs or land that is not build-able. If you pursue tax liens, you might have better luck in rural areas. Major investors focus on large metropolitan areas and bid up the price to make the returns uneconomical. This strategy has you finding motivated sellers by searching your county property’s website for delinquent taxes. Here, you can even focus on high-end properties. Find several streets in an area where you want to live. Search the county’s assessor of property website for those specific streets. Put in a spreadsheet of properties that were over two years behind on taxes. Write a letter to all the owners. The downside: People who live in million dollar houses might be dismissive of you. Many might call you back, but it’s probably unlikely that most will want to address the property tax issue directly with you. You can search foreclosed homes on HUD’s website. But how are you supposed to buy these homes with $10,000? Get a private loan for the rehab and the purchase. You can get private loans from a variety of sources, such as people you know and/or people who lend on individual real estate properties. Use bank financing and order the appraisal subject to completion. If the appraisal shows that you will build a significant amount of sweat equity, then the $10,000 down will probably be enough at closing. This depends on the purchase price and the lender. The downside: There is a fair amount of paperwork and a lot of technical paperwork when buying a HUD foreclosure. And there is generally a lot of repairs to be made on these properties. This is an underused source for deals. Going to eviction court is a great way to meet landlords who have had enough of the rental business. They are likely to sell using seller-financing. There are a lot of benefits with this strategy, as you can craft your own financing terms. Additionally, you likely have a very motivated seller, so you can purchase the property at a discounted price. Property management companies are another source of deals. The property managers know owners’ intentions and whether they plan on selling. Additionally, they generally know how “motivated” sellers are. Look on property management company websites. If they have a vacant property, particularly one that’s been vacant for a long time, look up who the owner is and call the owner or call the property manager to ask about the property. This strategy allows you to go big early on. Maybe you know four people who can contribute $22,500, which gets you $90,000. You contribute $10,000 for a grand total of $100,000. Put the money in a LLC. Each person will own 20% of the company. The reason you didn’t have to contribute as much as the investors is that is you charged a deal fee for finding the deal and structuring all the work on the front end (finding the property, doing due diligence, financing with banks, and setting up a legal organization). Many large multifamily investors use this strategy and charge the LLC a property management fee. You can now buy a $500,000 apartment building with the $100,000 you raised by getting a $400,000 bank loan. Structure the bank loan so the property is able to cash flow with you being able to pay the loan to zero within 10 years. Assuming zero appreciation and cash flow, in year 10, you will turn that $10,000 into a value of $50,000. Plus, you will have passive income from the apartments.